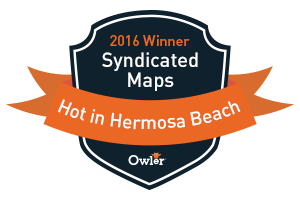 Syndicated Maps is a mapping services development firm, focused on the marketing and building of crowdsourced map databases. Our map databases attempt to solve social, business and political problems by providing a visual platform to display complex data. Anonymous users contribute & search our location based visual maps to discover & solve problems. We have built 10 different maps that solve various transportation, telecom, energy and travel problems. All of the map database are free to use. However, data can be licensed and downloaded for commercial use on our data market. We would like companies, governments and to developers use (license) this data alongside other services to help people live live healthier and safer lives. DeadCellZones.com - Cell Phone Coverage Map Reviews (2000) The first database we started back in 2000 was Deadcellzones.com to help solve the annoying problems of inconsistent cell phone coverage. This was long before online mapping and Google Maps was even started. We used a simple hosted SQL database to collect cell phone coverage complaint information. We then published this as a searchable list. A few years later (possibly 2005) Google Maps was created and we began to publish and crowdsource this data on a map. Over the last 15 years we have had over 150,000 cell phone coverage complaints submitted to the map. Today there are well over 50,000 active complaints and we typically received 5,000+ new problems year. Each day roughly 2,000 people per day are still searching for solutions to fix their cell phone coverage problems. PhotoEnforced.com - Automated Red Light, Speed & Traffic Cameras (2001) After the initial success of our first map we started a second map in 2001 to crowdsource all of the red light camera locations around the World. We registered the recognizable domain PhotoEnforced.com and published another SQL database to the web. It turns out a lot of drivers are searching for this information and we built a map to solve the information transparency problems, PhotoEnforced.com publishes this information on mobile friendly maps and receives almost 4,000 visitors per day looking for information on red light camera locations. The database has 25,000+ active locations in the map Worldwide. In recent years traffic cameras or license plate reader cameras have been installed by major cities throughout the United States. Drivers often confuse these traffic cameras as red light cameras. In 2015 we began building a new category of traffic cameras with the help of our audience. Why is this important? There are over 25,000 municipalities in the United States and most of them do not share this camera information. Accidents occur frequently at these intersections and the video data can be subpoenaed by an attorney. Drilling Maps, Power Plant Maps, Refinery Maps - Health Energy Data (2012) Oil & gas health and safety data has historically been very hard to find depending on which State, County or city you live in. DrillingMaps.com RefineryMaps.com PowerPlantMaps.com were inspired after listening to multiple groups of parents tell stories about sick kids and families living in close proximity to various oil and gas drilling, refining, power plant and energy operations. The maps aim to document health and safety concerns by residents all over the World in an effort to provide more transparency about the risks. This map serves as a platform for people to express their safety concerns about oil operations that may be jeopardizing their health and safety. Previously, people seeking oil and gas safety data had to search through hard to read Government and industry databases for oil and gas locations. Our searchable map database that allows users to get a better understanding of what oil and gas energy, power plant and refinery issues are happening around them. Solar Energy Maps - Solar Farms, Solar Parking, Solar Roofs (2012) A fast growing map database of thousands of solar roofs, solar parking lots and solar farms. We crowdsource data by using satellite map images to locate solar panels. SolarEnergyMaps.com goal is to raise the awareness of growing renewable energy locations around the World. It is our goal to raise the awareness about the impact solar and renewable energy can have on reducing our dependence on oil and gas. 15,000+ solar farms, solar parking lot canopies and solar rooftops have been discovered using satellite images. The web site is funded by advertising revenue and data licensing. New locations are added daily and users can search for "solar farms", "solar parking" and "solar roofs". BadIntersections.com - Historic Vehicle & Pedestrian Accidents (2015) A crowdsourced map database of intersections that are potentially hazardous and annoying. BadIntersections.com mission is to identify hazardous intersections for pedestrians, cyclists and drivers to raise the level of awareness of problematic intersections to driver and city officials to to improve safety. We seek to use media sources, DOT's, law firms, city, state, country and federal agencies to identify intersections with the following characteristics: high rates of accidents & fatalities (vehicles, bikes, pedestrians, motorcycles, trains) & dangerous railroad crossings. We started the BadIntersections.com to solve the problem of city, state, county & federal agencies lack transparency and consistency with information flow of accidents and fatalities. Since we launched the crowdsourced database in 2015, we have identified over 10,000+ intersections that are potentially hazardous to drivers and pedestrians. We also track what cities, states, counties and federal agencies are doing to improve these dangerous intersections by label these intersections in the database as "improved". DisasterReliefMaps.com - Emergency Response Maps (2017) Hurricanes, fires and floods have ravaged communities throughtout the United States this year. DisasterReliefMaps.com was inspired by Salvation Army volunteers who needed to quickly publish where donation centers were located in the Houston area. We created a map that highlighted these locations in relation to the evacuated areas. We also added Red Cross shelters and food banks to map. We provided a similar map for the Florida hurricanes. In California we created a map of the wildfires and layered in maps of real time traffic conditions, live video and oil & gas drilling locations that were in close proximity to the fires. SickBuildingsMap.com & SmellyRooms.com - Air Quality Issue Buildings (2017) Map of hospitals, schools, offices, hotels with reported poor air quality issues. Sick building syndrome (SBS) is used to describe a situation in which the occupants of a building experience acute health- or comfort-related effects that seem to be linked directly to the time spent in the building. Sick building causes are frequently pinned down to flaws in the heating, ventilation, and air conditioning (HVAC) systems. Other causes have been attributed to contaminants produced by outgassing of some types of building materials, volatile organic compounds (VOC), molds, improper exhaust ventilation, light industrial chemicals used within, or lack of adequate fresh-air intake/air filtration. The map aims to document health and safety concerns by building occupants all over the World in an effort to provide more transparency about the risks. So far we have found 1,800 buildings with frequent problems reported in the media. Search sickbuildingsmap.com and smellyrooms.com. DangerousSchools.com - School Violence & Dangerous Locations (2017) As states rethink school accountability under the Every Student Succeeds Act, policymakers often overlook information that goes to the heart of what might be the most fundamental question for any parent: Does my child or teacher feel safe? Data about the real inner workings of schools, from teacher morale to academic culture to student safety, are rarely rated, and almost never reported. Los Angeles & NY conduct comprehensive school climate surveys of teachers and students and — unlike almost every other major district — makes the full data set available to the public. DangerousSchools.com has mapped the unsafe schools in green on dangerous schools map. We have also used data from our dangerous intersections database to find schools that are in close proximity to intersections with a track record of car, pedestrian and bike accidents. Awareness of the potential danger near schools is important since you can't control how other people drive. So far we have found 1,600+ schools around the United States. TheaterMaps.com, LiveConcertMaps.com - Venue Database (2017) Artists and theater productions historically draw fans to buy tickets and sell out shows. However, locating live music and entertainment while traveling is not always easy to do if you are not familiar with the event locations in a city. How often have you said, "I wonder what is playing at Red Rocks or The Gorge"? We have created a searchable map database of venues & available tickets to theaters, amphitheaters, sports arenas, stadiums, event centers, concert halls. Search the map for theater, sporting events and concerts going on nearby. Browse the schedule of concerts and events at your favorite amphitheaters and concert venues. The database consists of 25,000+ music and live event venues Worldwide. Traveling abroad or unfamiliar cities and looking for something fun to do? Look no further than LiveConertMaps.com and ConcertTourMaps.com TheaterMaps.com. HockeyMap.com - Hockey Arenas and Teams & Leagues Database (2017) Hockey might be one of the most confusing sports of leagues and teams throughout the United States & Canada. HockeyMap.com is a map of the following hockey teams & arenas: NHL, AHL, ECHL, EHL, NAPHL, NAHL, WHL, CJHL, OHL, WSHL, USPHL, AJHL, ACHA, USHL, SPHL, WSHL, D1, D2 colleges. The database consists of 600+ pro, semi-pro, junior and college hockey teams and ice arenas. We have also mapped 5000+ indoor and outdoor hockey rinks. SlipMaps.com - Map of Marinas & Available Boat Slips (2018) A crowdsourced map to help boat owners find, lease and sublease boat slips & moorings. We encourage marinas and boat owners to post boat slip and mooring availability directly to the map.